REB Storage Systems International’s large rack system project management department is unparalleled in terms of product knowledge and project experience. REB’s project manager will be the single point of contact throughout every phase of the project, including assessment, design, manufacturing, installation, permitting, testing, and completion. The experience and skills of our project managers ensure the ultimate success of your project. They’ll manage all sub-contractors and continuously monitor the progress of the entire project so that it is completed on time and within budgetary guidelines. Our project management services are available for all project, large or small. 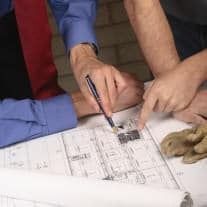 Proper planning and communication is key to the successful completion of every project. REB project managers obtain commitments on lead times for all materials and set a project schedule, highlighting all milestones and producing a firm completion date. This schedule is then communicated to all stakeholders as needed including customers, vendors, contractors, building officials, and internal resources to ensure that all have an understanding of the scope of the project. Weekly updates are also provided to keep the project on-track. REB project managers evaluate all subcontractor and manufacturer bids based on lead time, quality, and price with the intention of retaining high-quality services and products while reducing overall costs and project completion time. We manage the logistics of all materials, often from various distribution points. REB project managers work with multiple freight brokers to ensure that you received the best value on your freight. Once the project is completed, the project manager will perform a final walkthrough of your system with you to confirm the quality of the installation and the conformance to the system specifications. DO YOU NEED RACK SYSTEM PROJECT MANAGEMENT? If you need a complete rack system project management, we can help. We've been managing rack system projects for more than 50 years.